Preheat the oven to 450°. Combine the olive oil, spices and sea salt in a small mixing bowl and stir to thoroughly mix. 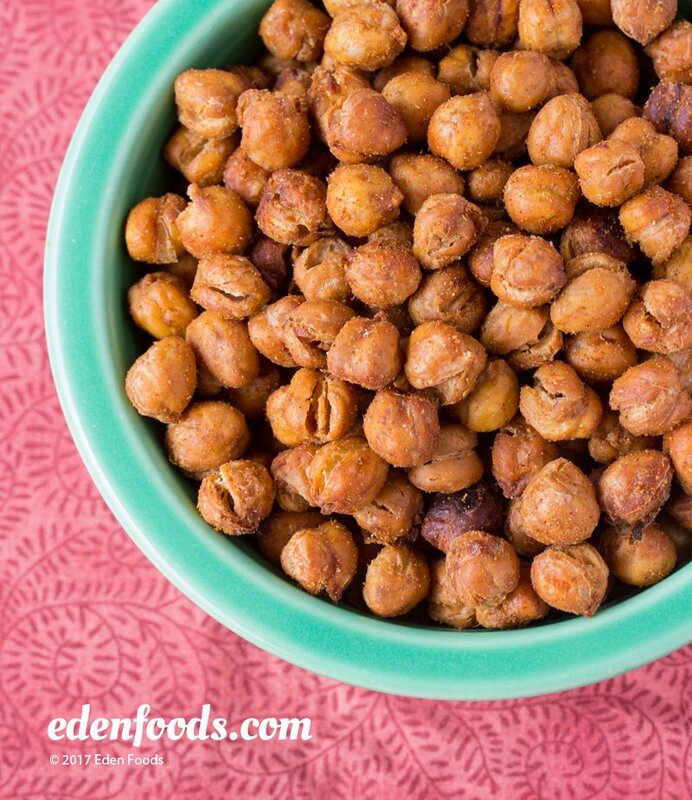 Place the rinse garbanzo beans on a towel and pat dry. Place the beans in the mixing bowl. Mix to coat with olive oil and spices. Line a large baking tray with baking paper or foil. Place the beans in the tray. Bake for 25 to 30 minutes. Remove, toss and bake another 15 to 20 minutes or until the beans are crunchy. Remove and place in a serving dish.